As any reputable insurance broker will tell you, how much a given company charges to have you insured will depend entirely on who you are. Your age, gender, driving habits, credit score and any other pertinent information about you can often serve to indicate how much of a “risk” – and, consequently, how much of a liability to the company – you are likely to be. For this reason, the profile of you that your insurance company will build is likely to be thorough, encompassing many aspects of your character and behaviour. Unfortunately for many drivers, however, this will also include information about previous tickets and other records of infractions that you might have committed; a person with many previous speeding tickets, logically, is likely to have higher premiums than a person without. For this reason, one of the most important realizations to make when thinking about how to save money on car insurance should also be one of the most self-evident: staying out of trouble on the roads will ultimately mean cheaper premiums in the long run. By following a few relatively simple pointers – we’ve provided some below – you’ll stand a significantly better chance of avoiding problems on the roads, steering clear of tickets and keeping your car insurance rates relatively affordable. 1. Pull over if you need to make a phone call. It’s admittedly hard to imagine the world as it would exist today without cell phones, but as handy as they are, cell phone calls and driving simply don’t mix. What’s more, we now have laws in place to emphasize this fact; talking on a cell phone while driving is now illegal across the country, and being caught in the act can net you a costly fine. As one might expect, these rules also apply to other distracting habits involving cell phones, such as texting and using GPS or other smart phone applications, so it’s best to avoid these practices as well. If a call or text really must be answered, pull over in a designated rest area or other safe location before reaching for the phone; if it means avoiding a nasty ticket, you’ll be glad in the end that you did. 2. Keep your speeds reasonable. 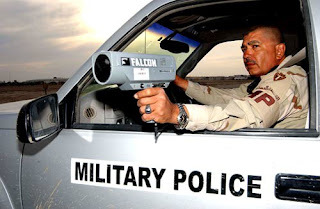 Police speed traps are often well-hidden in an attempt to catch unsuspecting drivers exceeding the listed speed limit, and in most cases they work. For this reason, it’s wise to stay within posted speed limits, even in areas that seem relatively free of people and traffic. Regardless of any police presence in the immediate vicinity, speed limits are assigned and enforced for the sake of safety, both for drivers and pedestrians. Thus, the reasons for obeying speed limits are multiple; ultimately, however, the old adage “better safe than sorry” is just as effective a reason as any. 3. Where drinking and driving is concerned, the best policy is a zero-tolerance policy. If a speeding ticket is bad, most would agree that a “DUI” (“driving under the influence” of drugs or alcohol) is worse. In most cases, a DUI will entail a mandatory license suspension and points on your driving record, the results of which will almost certainly boost your insurance premiums in the months that follow. To avoid an outcome like this, always be sure to have a “designated driver” who has agreed to abstain from any intoxicants, and to make sure that this plan is enforced throughout the day or evening. If you yourself have been selected to be the “DD”, be aware that everyone metabolizes alcohol differently and that even a single drink is enough to qualify some people as intoxicated in the eyes of the law. It’s therefore wisest to avoid intoxicants altogether; again, “better safe than sorry” is a valuable rule to live by in this case. 4. In the eyes of an insurance company, a reckless driver is a risky driver. Charges of “reckless driving” are often harshly punished and are reflected in the insurance rates of drivers who accumulate them. Thus, perhaps the easiest way to avoid insurance premium increases might be simply to be a kind, courteous and careful driver at all times; doing so will likely allow for a safer and more enjoyable driving experience not only for you, but for your fellow motorists as well. In the end, it’s just common sense.